Build a variety of deep sea creatures such as a dolphin, shark, or whale. 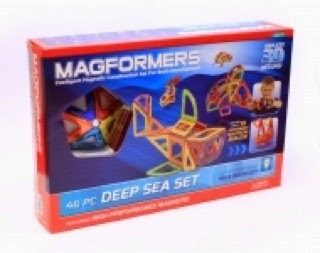 My whole family loved Magformers Deep Sea Set! My kids love to build things and use their creative little minds so these were right up their alley. 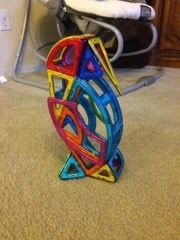 My husband and I also had such a blast with the kids building all the deep sea creatures. The instruction booklet shows kids how to build 3-D structures of a dolphin, shrimp, whale, sea turtle, eel, penguin, oyster, clam, shark, two sailboats, and a speedboat. 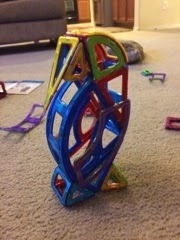 My 5 and 7 year old were able to build all the structures by themselves or with very little help and my 2 and a half year old loved stacking the shapes together and creating her own masterpieces. 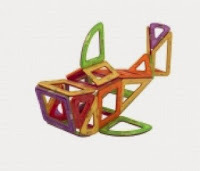 The Magformers Deep Sea construction set comes with 46 pieces for building. 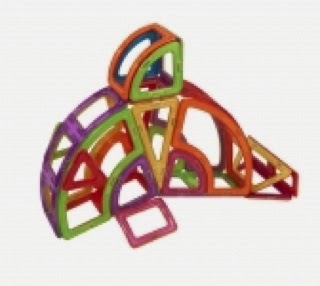 The pieces come in different shapes and connect together on any side using the build in magnets. I highly recommend these and love that they stick together making cleanup a breeze!